This next Shetland fleece sample caught my eye as soon as I first saw it. It was sent to me by Cathy as a part of this batch. It is an adult fleece, and is the coarsest to touch so far. It is a dual coated fleece, with the typical triangular shaped staples of such a fleece. The fiber length ranged from three to six inches, and this fleece was full of VM (vegetable matter.) As you can see, the crimp is too disorganized to count! At first glance, the word "black" comes to mind to describe the color. Not unsurprisingly, the tips are sunbleached, anywhere from blond to brown. A closer examination however, shows white fibers mixed in throughout the fleece. The amount of white varied throughout the sample, but it was there nonetheless. In fact, it is the white fibers that contribute to it's coarseness. The bits with less white, are softer. This coloration got me curious about the various Shetland sheep colors. Shetland sheep are recognized to have eleven distinct colors, and 30 color patterns, but I was at a loss to figure out which one this fleece was. After a chat with Tina from Marietta Shetlands, I determined that this fleece must be from a sheep which has what is called the iset pattern. This refers to a dark colored fleece with many white fibers giving it a bluish cast from a distance. I also learned from Tina, that Shetlands can change their color over the years! What a versatile breed for a spinner's flock, eh? One thing that I had to deal with before spinning was all the VM. It was loaded with it. I know some spinners who refuse to deal with such a fleece, but the color was too lovely to not spin it. I was able to get a lot of it out with a vigorous shaking before washing. I knew from experience that more would come out in processing and spinning. Now, I'm going to take a little side trip here, because I learned something when I washed my sample. 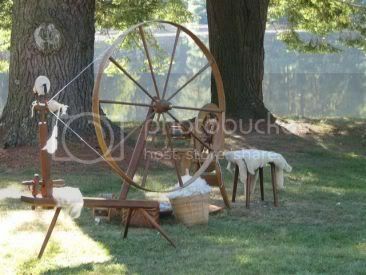 Back in the day, when I first learned to spin, I read somewhere that fleece washing temperature must be kept very hot, to keep the lanolin melted. The rational was that if the temperature dropped too low, the lanolin would begin to re-solidify on the fiber. Well, with this sample I set it to soaking in hot, hot water and a large squirt of Dawn dish liquid as usual. Then I went to do something else, got distracted, and forgot about the fleece. In fact, I forgot about it so completely that by the time I got back to it, the initial soaking water was barely lukewarm. This dismayed me because I'm not real keen on exposing wool fibers to an extreme temperature change (as in an immediate second very hot soak), as I want to avoid the possibility of felting. So I continued rinsing with cool water and spread it out on a towel to dry. Anyway, here's the yarn. It doesn't look bluish close up, but it is a lovely color of grey. Ohhh. "Iset" - now I know. I sent 2 of those fleeces to zinlizzie and I already spun the 3 isets I kept. I am crocheting a vest for the sheepowner using the laceweight yarn. The color range is amazing. I can't speak for all Shetlands, but mine are not lanolin laden as many other sheep breeds. Lovely lock you havbe there! I too think that grease resettling is somewhat of a myth. Rather than being temperature dependent, it occurs (IMO) if there isn't sufficient detergent in the scouring bath. Hot temps are needed mostly to melt the grease (it won't interact with the detergent if it's solid). If there's enough detergent to bind all the liquefied grease, it should rinse away no matter what the temperature. Your spinning is always so beautiful and even. I really enjoy reading your "fleece/fiber evaluations" and seeing your samples of the different breeds. My first fleeces were washed with all the precision and attention to detail I could muster. It was like some sort of laboratory experiment. I have learned that wool is fragile and needs a bit of the pampering, but that it is tougher than I thought. I often have temperature changes in the water or maybe agitate it a bit more than I think I should. But it always seems to come out just fine! Isn't it neat what serendipity hands you? Sounds like that out of an almost serious error comes new methods and learning! I had just learned that hot temp thing at the Commonground Fair! Nice to know about the happy ending! and the yarn is lovely. I am being tempted here. That's interesting...the first thing I thought when I saw the lock was that it was charcoal gray (which may be the rendering of the color on my computer, or may really be the color). I did notice the white immediately and thought it would probably spin up into something a lovely charcoal gray. Sounds like it might be a bit more bluish than traditional charcoal, but loveley nonetheless. Gorgeous spinning and a great tribute to my favorite fleece. 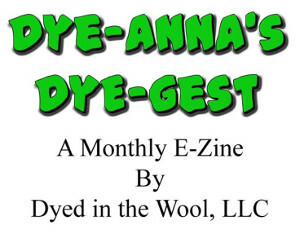 Not only are there so many colors, there are the variety of fleece qualities you mentioned. I'm knitting a hat for my son (his request) out of our four boys and the one who is dual coated produces yarn that has a halo effect, as though it were a mohair blend. And they're so little - such a bargain. Hay's coming tomorrow - I must remind myself - they're a bargain. Your spinning is beautiful (as usual!) Thanks for posting about your "little side trip", now I won't stress so much when I have a basin full soaking ;-). This is a great post! I've never had to use very hot water for my shetland fleeces. I do have some rambouillet crosses that I use super hot water on at first, but I've never had to keep it hot to prevent the lanolin from solidifying back onto the fleece. Mohair, you definitely have to keep it hot for that stuff.